Writing a DBQ essay, or a Document Based Question essay, is regarded as an extremely difficult exercise. 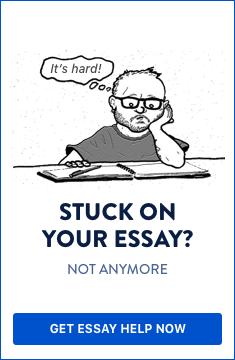 Because the content of the essay is based on the specific content of the question, unless there is clear analysis and understanding of the specific topic raised in the question, it can be almost impossible to come up with a comprehensive and accurate answer. - Firstly, analyzing the question to determine what the key points are that need to be raised. Part of this process also requires that you assess and evaluate the positive and negative points of the given topic so that you can determine the angle that you will write the essay. It is usually useful, when writing such an essay, that the pros and cons, or advantages and disadvantages of the topic be taken into account. This will allow you to prepare a comparative analysis, which will substantially help in fulfilling the word count requirements. - Generally, when preparing to write a DBQ essay, it is imperative that you highlight the key words that are used in the question and the context in which these words are used. All such essays usually address specific attitudes or reactions, whether political, economic or social, and a useful guide about the direction will be based on the keywords used. - Another important component is to look at the chronology of events or incidents that are cited in the DB question. If this exists, it will allow you to develop your arguments sequentially based on the chronology that is listed and this pretty much provides a timeline format that you can follow. - When actually writing the DBQ essay, always remember that your introduction will set the tone for the quality of your essay. Your introduction should be powerful and should define the context of what you want to achieve. If you can do this effectively, key marks will be allocated to your essay at this point. - For a solid introduction, if it is an area that you already have a working knowledge of, over and above the historical facts that are presented as part of the question, it is useful if you can add some historical perspective or background of your own. Set this platform to lead your reader into your answer. If however, you have no such knowledge, avoid taking this route at all cost. - The body of a DBQ essay is about supporting evidence and it is critical that you cite the appropriate references, whether it is from people or documentation. Also analyze this in the context of what you are saying and whether your references support what your thesis will be. Use actual quotes sparingly as the reader is more interested in your take about a reference that in the reference itself. - Always remember to present the body of your answer systematically. Each argument should be presented in separate paragraphs and be careful not to jump between arguments, as it creates the impression that you are disorganized and unclear about what you want to say. - Use the conclusion to bring the reader back to the key question and link this back to the direction that you want to conclude the essay.